Celebrity took on Journey and Quest, with plans to fold them into its Celebrity Xpeditions subbrand -- but then changed its mind. "We learned that these ships don't just constitute a slightly more upscale product than Celebrity," RCCL Chairman and CEO Richard Fain said at the time. "They are so distinct they deserve a line of their own." When the line first entered the market, Azamara struggled to make its mark in the deluxe cruising niche. In 2009, luxury cruise industry veteran Larry Pimentel -- an executive with 25 years of experience working with lines such as Cunard, SeaDream and Seabourn -- took the helm. Pimentel introduced a raft of changes with an emphasis on creating more immersive itineraries and, in a nod to the true luxury players, making the overall product more inclusive. 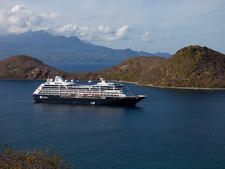 Azamara Club Cruises, which specializes in destination immersion, offers longer stays, more overnights and night touring. With more time in port, Azamara passengers can explore their interests with a local connection, especially through the line's Cruise Global, Connect Local Shore Excursions. These are divided into areas, such as Taste Local (culinary tours and restaurant visits), Bike Local (cycling tours), Meet Local (cultural exchanges with local families and residents) and Nights Local (for evening outings). The line also offers options for overnight excursions to inland cities like Berlin, Madrid and Moscow, and trips to UNESCO World Heritage sites like Bagan and Angkor Wat that require full days or longer. All voyages feature AzAmazing evenings, private onshore experiences offered complimentary to all passengers once a voyage, usually with a cultural theme. Azamara Club Cruises' fleet -- Azamara Journey and Azamara Quest -- serves up a delightful ambiance that's a hybrid of luxury and destination immersive cruising. The ships, which hold only 690 passengers, offer a superb blend of amenities (multiple dining venues, a casino, plentiful balcony cabins, spa and a quite generously-sized fitness facility). Yet they are small enough to feel friendly and cozy. Their size allows them to call at smaller, more offbeat ports and dock closer to cities that, in many cases, require larger vessels to tie up in outlying cargo ports. While Azamara Journey and Azamara Quest are by no means new ships, they've aged beautifully. Credit Azamara's parent company, Royal Caribbean Cruises Ltd., for making a significant investment in refurbishing the vessels when it acquired them. There has also been an ongoing effort to keep the ambiance fresh and contemporary. In 2016, both Journey and Quest went in for extensive refurbishments that included new spaces, cabins, furniture, soft goods and more. The line is more inclusive than mainstream cruise companies, offering select standard spirits, international beers and wines, gratuities, bottled water, soft drinks, specialty coffees and teas, self-service laundry, shuttle service to and from port communities (where available) and Concierge services for personal guidance and reservations. Suite Passengers also receive English butler service, priority check-in and departure, free dining in specialty restaurants, complimentary garment pressing of two items, afternoon canapes, welcome bottle of sparkling wine and a wet bar setup. The line also holds a complimentary AzAmazing Evening event for all passengers on all voyages except transatlantic and transpacific sailings. Azamara's dining is one of its standout features. Each ship has four restaurants, and all are open-seating. Discovery, the main venue, is open for breakfast, lunch (while at sea) and dinner. Prime C, the steakhouse, and Aqualina, with contemporary Italian cuisine, are dinner-only. These two restaurants are the only to levy a fee: it's $30 per suite guests to dine in Prime C and Aqualina. Windows Cafe, the well-designed, compact buffet venue, offers casual cuisine (and occasionally a theme-oriented repast, such as freshly prepared sushi). Other venues include The Patio for burgers and other grilled fare, the Living Room for afternoon tapas and the lovely Mosaic cafe coffee bar with its included-in-the-fare snacks and beverages. The line, which favors destination-intensive itineraries over long cruises with lots of sea days, is gradually improving its enrichment programs, choosing primarily to focus on lecturers with expertise in the history and culture of the region in which ships are traveling. You can also find activities on improving computer skills, organized Bridge, recipe demonstrations and wine-tasting. A casino is located smack in the middle of the ship; you can't miss it. In the evenings, Azamara offers a range of options, from music revues in the Cabaret Lounge, its main theater, to dancing and live music in the Living Room. The can't-miss event on any Azamara cruise is the once-a-journey pool party, weather permitting (our favorite: The White Party). Azamara attracts a baby-boomer customer, who is active and well-traveled looking for port-intensive itineraries that include marquee cities and offbeat places. About 45 percent of Azamara's passengers come from North America, about 20 percent from the U.K., 10 percent from Australia and the rest from the rest of the world. 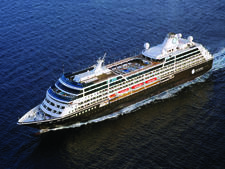 Azamara's two-ship fleet is composed of Azamara Journey and Azamara Quest, two 690-passenger boutique cruise ships. Both underwent a massive refurbishment in early 2016. The ships date back to the days of Renaissance Cruises, where they were known as R6 and R7, respectively. 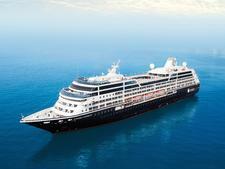 There are no plans to expand the fleet beyond Azamara Journey and Azamara Quest.